Via the D908 as far as Colle St Michel, then the D39 for 4 km . The narrow winding little road that passes through this untouched and majestic natural setting offers a fine panorama. The road alone is worth the detour ! 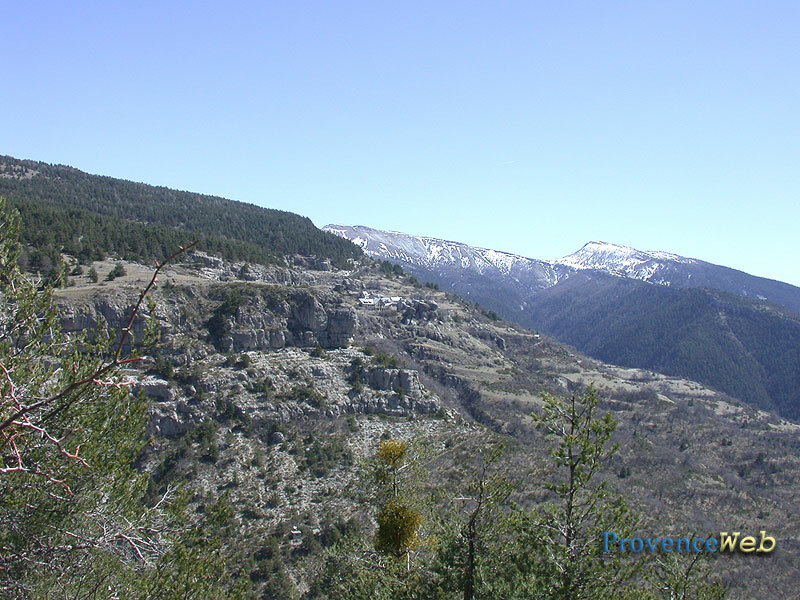 Paradise lost is here in Peyresq ! 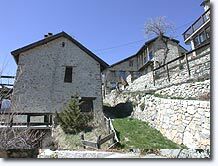 Peyresq was founded in the 13th century, it was the fief of Nicolas Fabri de Peyresq, a humanist, patron of the arts and scholar known all over Europe in the 17th century. 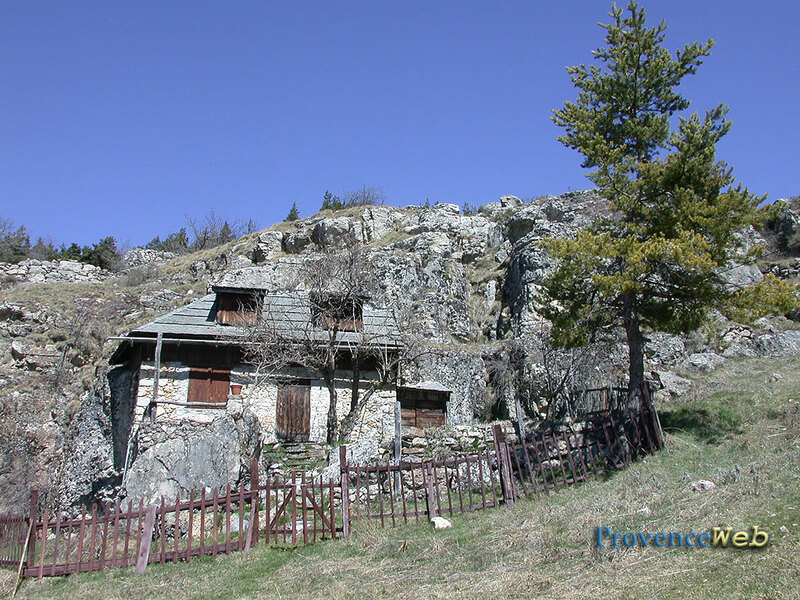 Peyresq (or Peiresc which means "stony) owes its name to the limestone rock in the area. On the small, hard earth square, shaded by lime trees (please do not park here, respect the site!) is an intriguing stele to René Simon, mason who contributed to rebuilding the village. 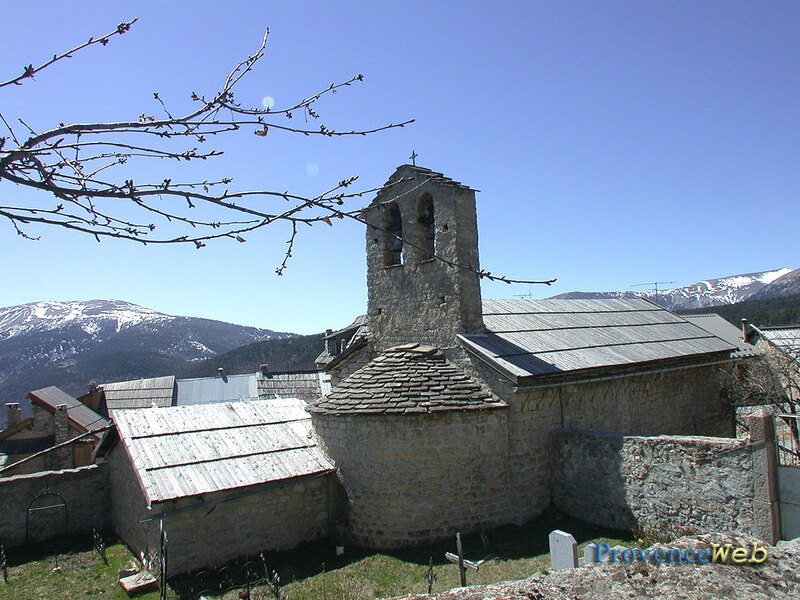 It is surrounded by a few beautiful and noble stonework houses with shingled roofs and the solid looking church of St Pons (14th century). The stele was erected in recognition of the marvellous restoration work carried out in the village, which had become derelict by the beginning of the 1950's, almost single-handedly by a stone-mason who has now passed away. 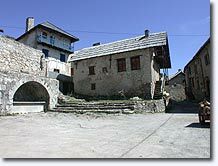 The work was requested by a certain principal of a Fine Arts school from Namur, who fell under the spell of the village and bought his first house here in 1952. He and a friend in the legal profession decided to rebuild Peyresq, with the aim of bringing together students, artists, scientists, in a centre from which humanism would spread out. So for 30 years, bands of students, Belgian for the most part, worked in succesion to lift the village out its ruins. 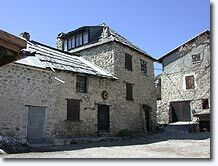 The work was carried out with the great concern to integrate the site and great respect for the village's spirit. To underline the humanist character of the project, each house was named after an artist or a scholar: Mistral, Newton, Alain, Darwin and Leonardo da Vinci. 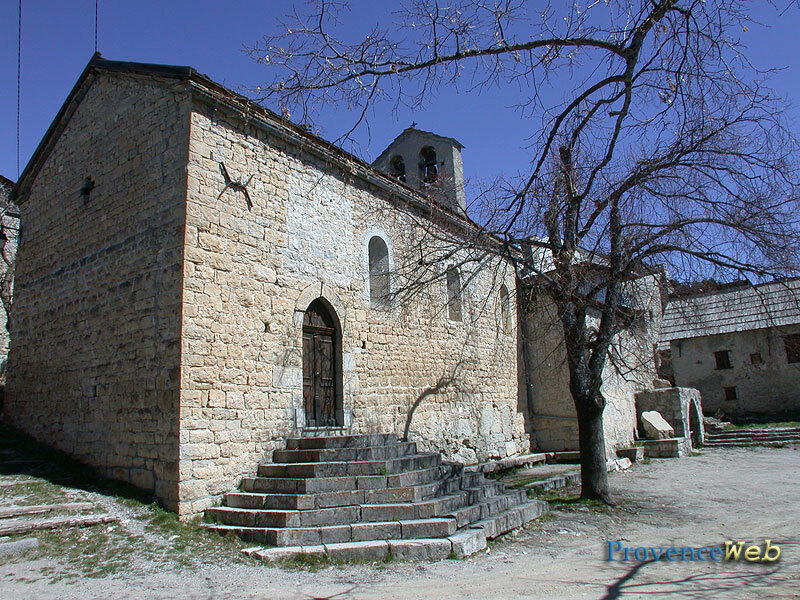 The village-museum of Peyresq is almost totally deserted in winter. It comes to life in June, when it plays host to students from the Université Libre de Bruxelles for seminars on subjects as varied as Linear Physics, Cosmology, Ecology or IT, etc, as well as courses in Argentinean tango or Plastic arts encounters. 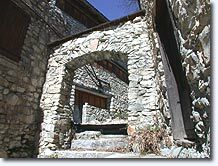 These activities, which have backing from the "Fondation Nicolas-Claude Fabri de Peiresc" and the "Pro Peyresq"association, are held in each of the restored houses in the village : meeting rooms and lecture rooms equipped with the latest technology,panoramic restaurant and rooms for roughly 70 people. 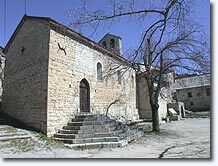 The church (14th century, late Romanesque), which has been listed recently. Inside, note the altar stone and the originality of the pulpit stairs. The church, which is endowed with exceptional acoustics and welcome coolness, is the venue for numerous concerts in the summer. 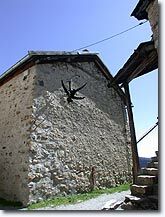 1 Gîte and 1 Inn at Colle St Michel, 5 km away. 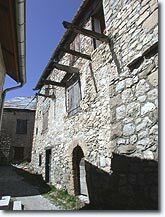 (contact the Oustalet Inn at Colle St Michel). Hiking on the mountain (as far as Grand Coyer, 2697 metres). Mountain biking in summer. Cross-country skiing in winter at Colle St Michel. 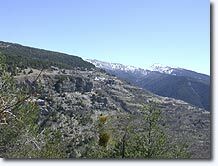 Le Fugeret (15km), Méailles (17,7km), Thorame Haute (14km).